A pioneering swimsuit design that caused outrage almost a century ago is to be displayed in the V&A’s new museum in Dundee, Scotland, opening September 15, 2018. 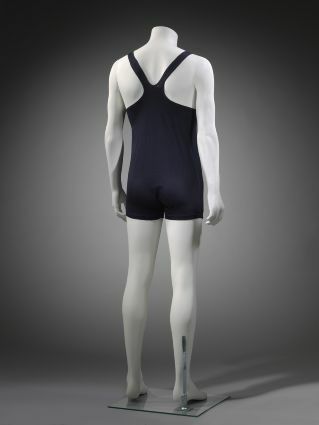 The Speedo “racerback” costume for men was produced in the 1920s when swimsuits were made out of wool and had sleeves for greater concealment of the body. 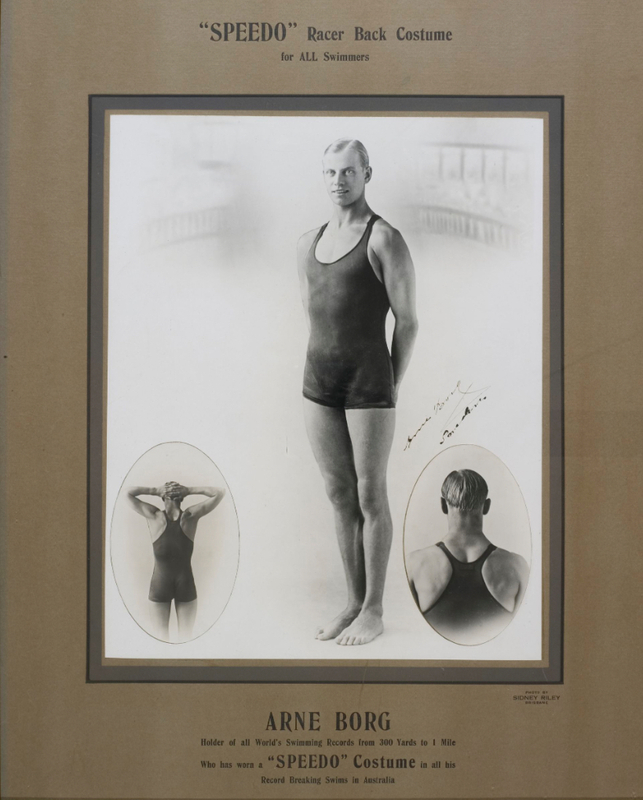 The tight-fitting design complete with Speedo tick had straps crossing at the back and was made of cotton or silk which absorbed less water and have the wearer greater mobility. Thought to be the only example of its kind in the UK, the racerback is loaned from the Leicestershire County Council Museums Service which sourced it from a local vintage shop. While the costume was barred from some beaches it soon became key to the success of the Australian company founded by Scottish immigrant Alexander MacRae and was worn by top Olympic athletes in 1928. MacRae was born in 1888 and grew up in a small fishing village near Loch Kishorn in the West Highlands, before moving to Sydney, Australia in 1910, and setting up a hosiery company called MacRae Knitting Mills in 1914. Meredith More, the assistant curator of V&A Dundee, said her colleagues were “delighted to be able to include such an early Speedo swimsuit” in the Scottish design galleries. “Alexander MacRae was one of many Scottish entrepreneurs who moved abroad to make his fortune. Capitalising on Australia’s growing beach culture, he created a ground-breaking swimsuit design that appealed to competitive swimmers and sunbathers alike. The racerback’s revealing back straps challenged moral codes in the 1920s, when mixed bathing was only just becoming acceptable, but nobody could deny his hydrodynamic design allowed swimmers to achieve faster times,” she said.